Today’s theme: Insert Me Thursday! 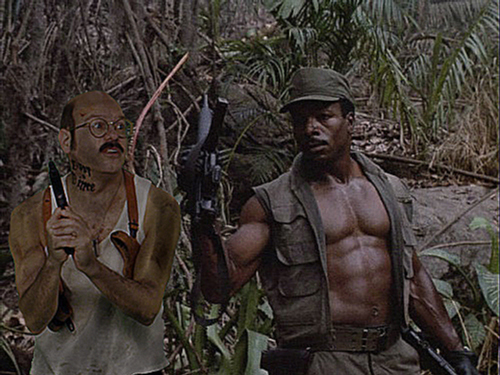 Action Hero Tobias with his acting coach Carl Weathers in Predator- Double Steesh! This entry was posted in Actor Mustache, Character Actor, Comedian Steesh, Tobias Funke Steesh, TV Steesh and tagged Action hero, Action Movies, Arrested Development, carl weathers, comedian, David Cross, entertainment, Humor, Insert Me Anywhere, kevin kline, Moustache, moustaches, Movie, Movies, mustache, mustaches, netflix, photoshop, photoshopping, Predator, tobias, Tobias Funke on May 22, 2014 by Los Bulls.